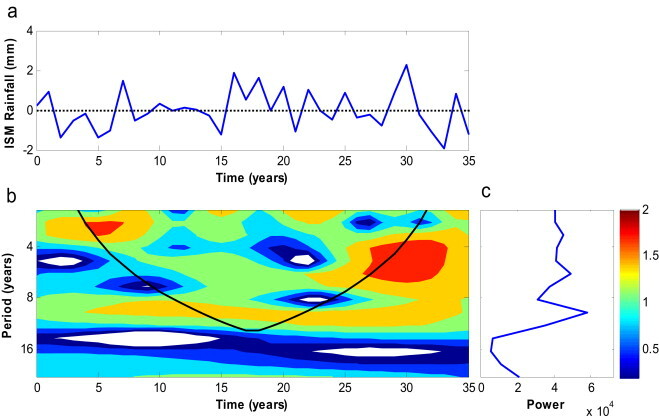 A paper published today in the Journal of Atmospheric and Solar-Terrestrial Physics finds long-term observational evidence corroborating Svensmark's cosmic ray theory of climate. 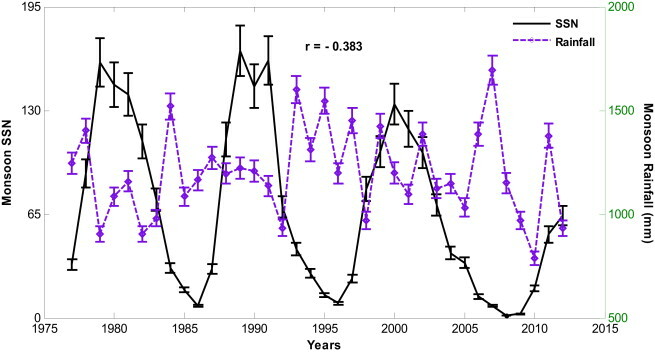 According to the authors, the "Sun influences the formation of clouds and rainfall activity through Galactic Cosmic Ray mediation" and "Solar control on the Indian Summer Monsoon rainfall, cloud liquid water content, and integrated water vapor is observed over India during 1977–2012." 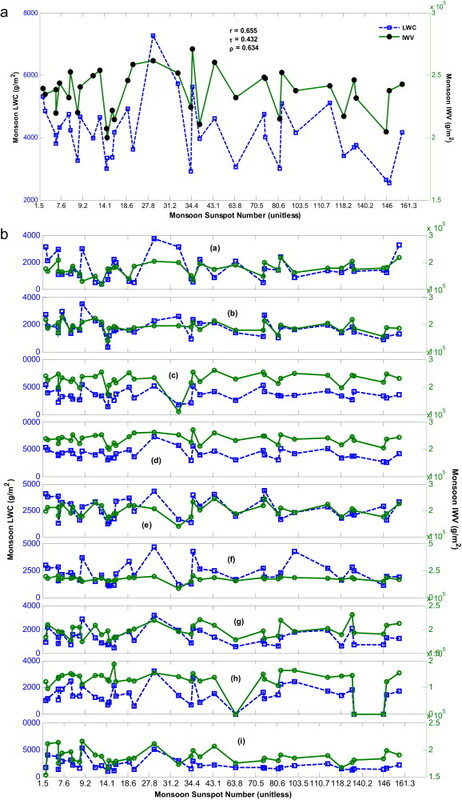 The authors also find "Increased Earth surface heating during solar maxima regulates integrated water vapor, cloud liquid water content, and rainfall." 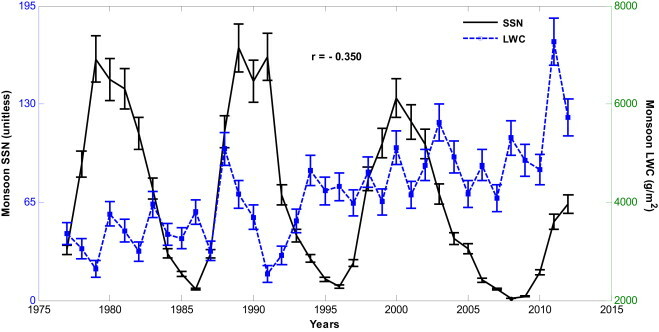 integrated water vapor] IWV is observed over India during 1977–2012. 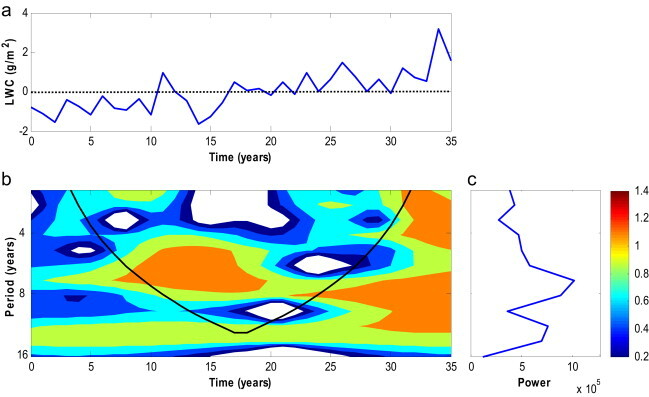 Sun influences the formation clouds and rainfall activity through GCR [Galactic Cosmic Ray] mediation. 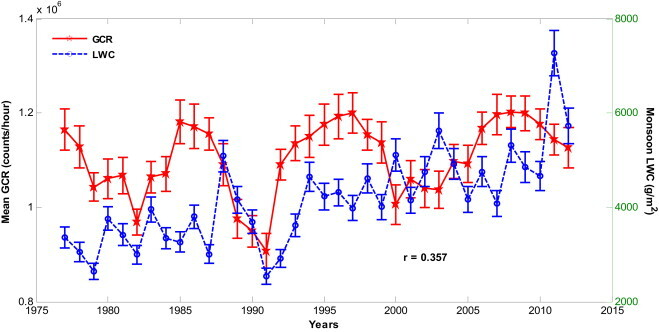 Increased Earth surface heating during solar maxima regulates IWV, LWC and rainfall. 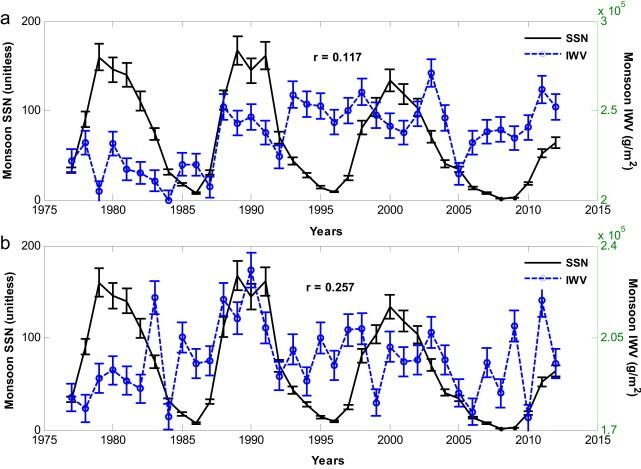 SSN [Sunspot Number] shows both positive and negative correlation with LWC and ISM rainfall. 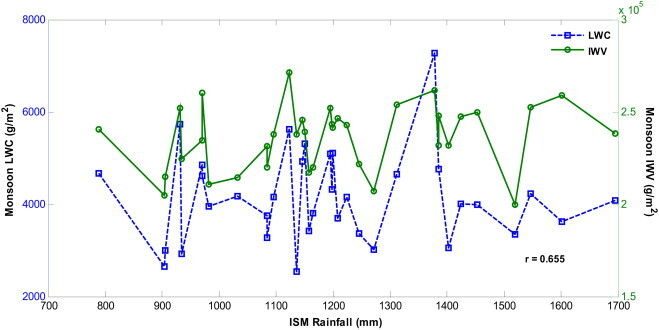 Wavelet analyses also indicate a solar control on ISM rainfall, LWC & IWV over India.